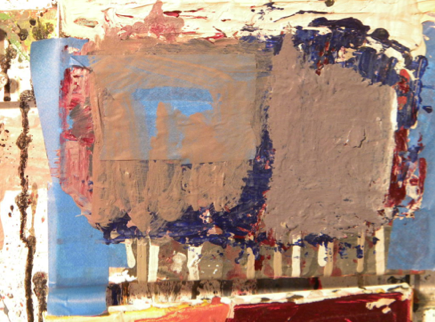 Lawrence Philp makes abstract paintings and mixed media constructions. The work is painterly and expressive and the compositions seem to evolve according to Philp's process and his reactions to that process. Philp's work was recently included in exhibitions at the Mary McLeod Bethune Performing Arts Center and Visual Arts Gallery in Daytona Beach, FL. 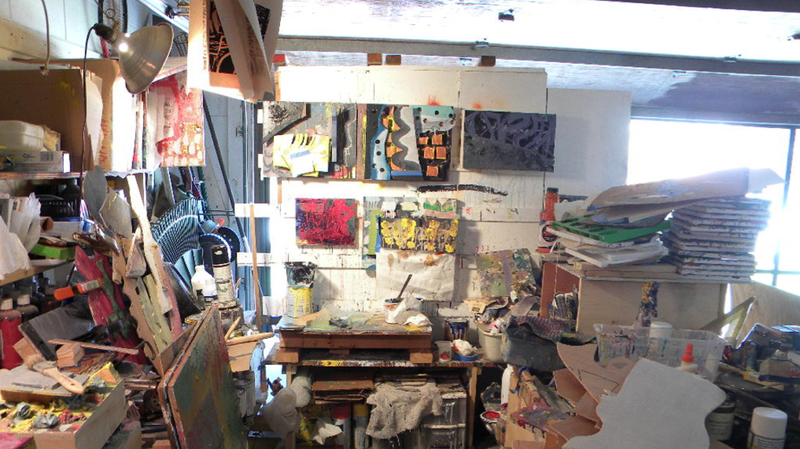 Recently, he exhibited paintings in I Kan Do Dat, a group exhibition featuring 80-90 artists at three gallery spaces in Chelsea and Brooklyn with Philps' work being displayed at the Skylight Gallery in Bedford Stuyvesant. The exhibitions were curated by Danny Simmons, Oshun Layne, and Che Baraka. Lawrence Philp lives and works in Palm Coast, FL. 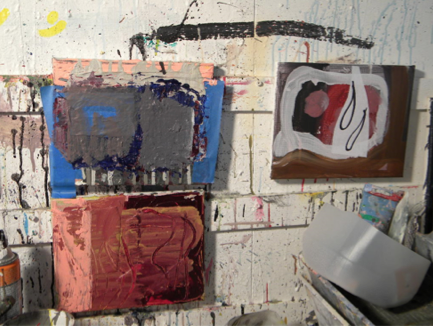 I am currently making two kinds of work. 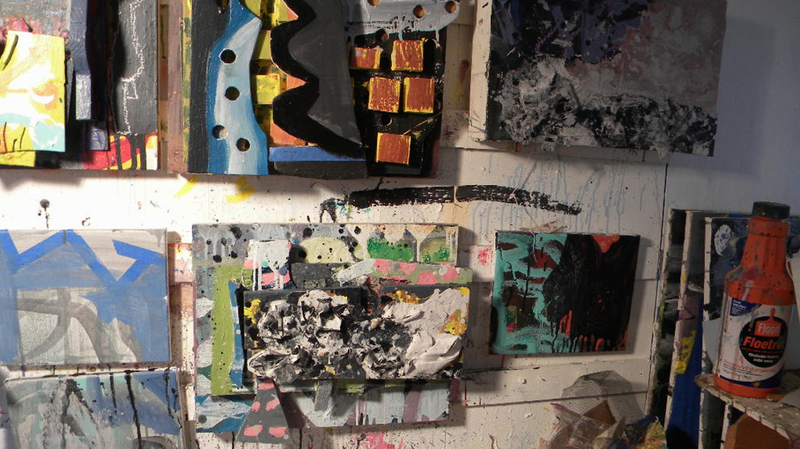 I make mixed media constructions and mixed media paintings. The mixed media paintings on canvas use a variety of paint application layers either brushed or poured onto the substrate. 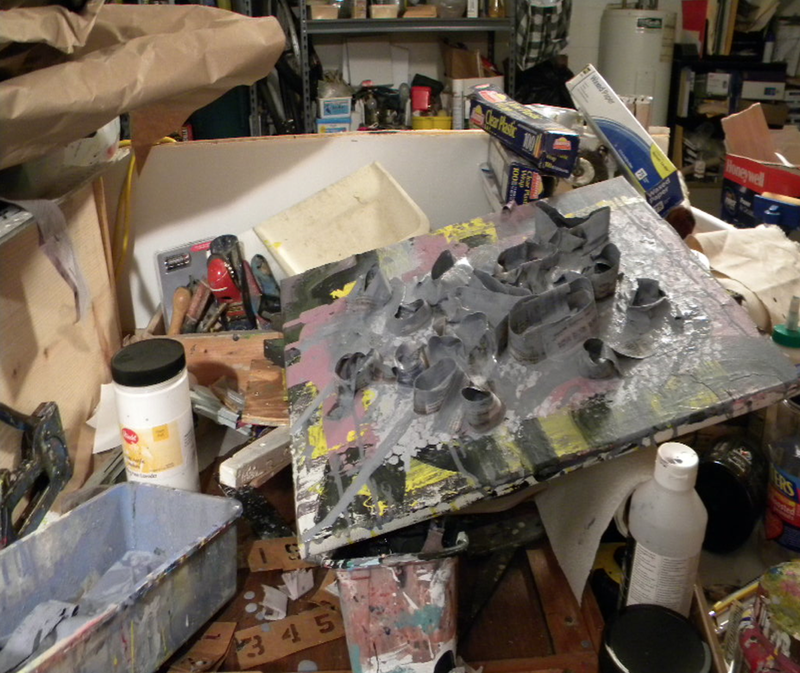 My initial work in this manner found me editing some of the paintings with painted cardboard relief surfaces as well as painted paper mache relief surfaces, paint skins, paint scraped onto the surface with homemade cardboard scrapers, plastic Bondo scrapers or anything that I had that would allow me to pull paint across the surface. 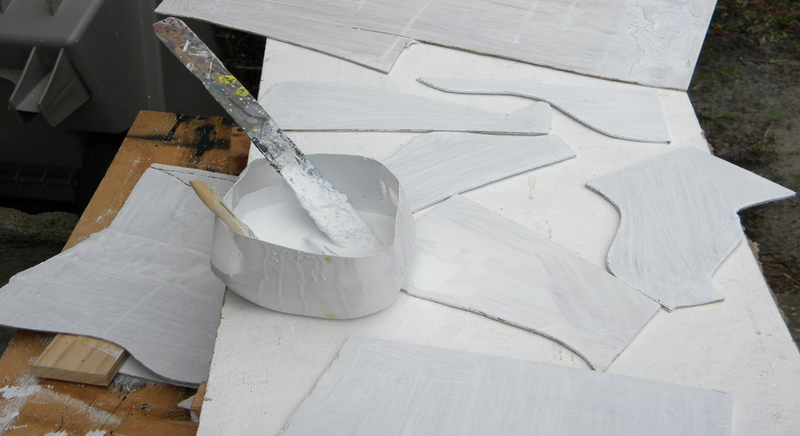 My painted surfaces are brushed poured, taped or have collage applications. 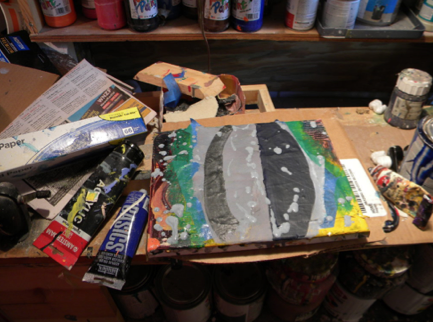 I have added additional elements such as soaked newspaper, brushed, rolled and/or poured painted surface, grated paint skins, combed paint surfaces as well as reworked sections of old paintings cut up and used as collage elements. I am making mixed media constructions. The mixed media constructions are for me one answer as to how I make my work. The building aspect of the mixed media work takes me out of a comfort zone vis a vis, making paintings on a flat substrate. I have used a scroll saw to cut relief shapes out of wood, the cut out wood surfaces are primed and sanded and filled when necessary and then painted as well as glued down dimensionally. 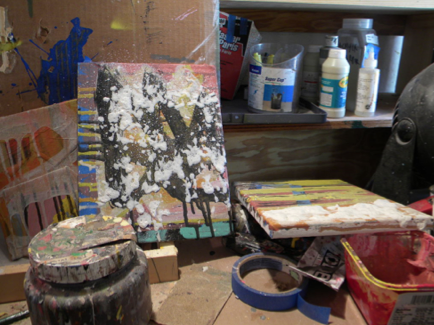 I am using these ways of working to enliven my painting surfaces. In the past my painting practice involved making flat paintings with brushes on paper and on canvas; paintings which were comprised of overlapping planes and broken color, painted ornamentation along with disparate elements including fractilization of the paintings planes, shape manipulation and shape invention. Some of the current painting outcomes are leading me to something else that I have not been able to put my finger on. I am looking forward to further discoveries. I work on one painting at a time. I work on a painting wall that has more than one painting in a variety of drying conditions, repainting conditions or layering conditions. I like to keep my painting wall active. My painting wall has many paintings that I am working on and looking at. 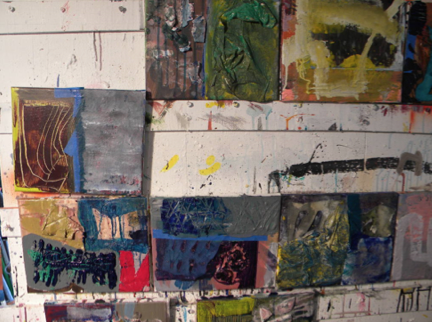 My paintings develop on the painting wall until the individual paintings have used up all of the compositional resonances and influences from each other. 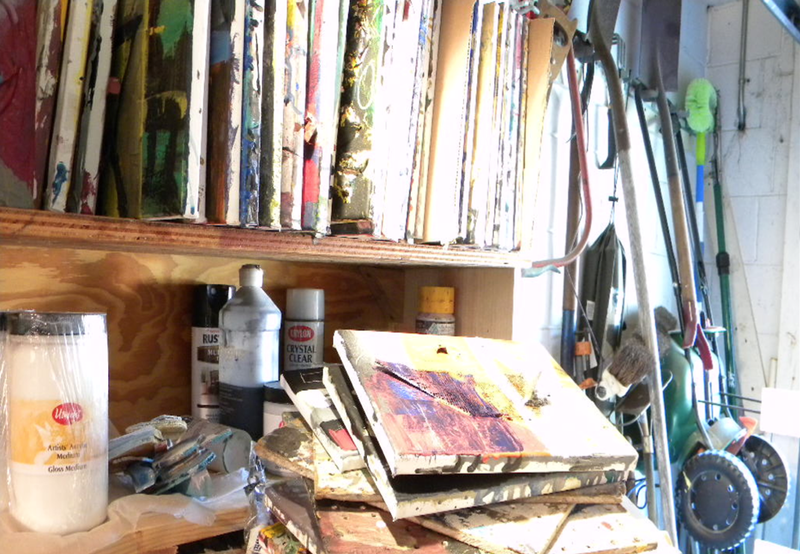 I sometimes then will just use an editing color to neutralize the work on one or two paintings on the wall and start again. I start a painting put it down and start another. Working in this manner allows me to put things down, remove them, borrow something from another painting and make something unexpected. 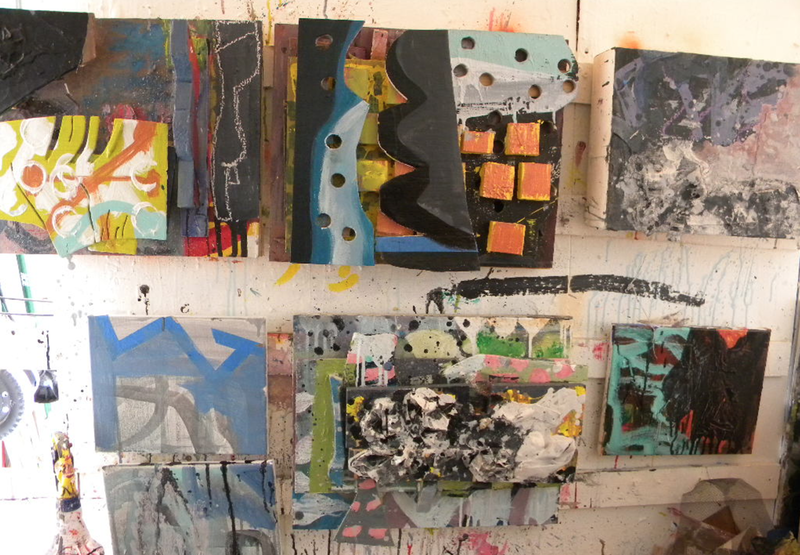 There is nothing like working on five, six, or ten paintings during a work period for me. I have written this artist statement to provide a narrative for the photos of work on my painting wall. I am using this as a way of mapping out and describing what I do in my work. The dimensions for the paintings are 8 x 10”, 12 x 12”, 14 x 16” and 16 x 20”. *All images courtesy of Lawrence Philp. 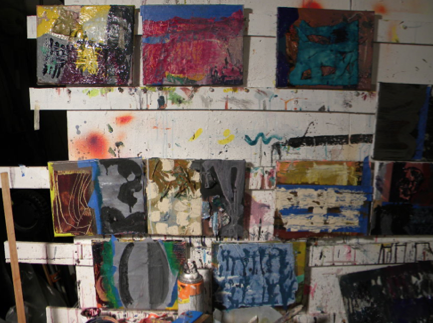 Some works shown may be in process. Seeing an artist who allows the process to be a part of the creation and development of that art is refreshing. 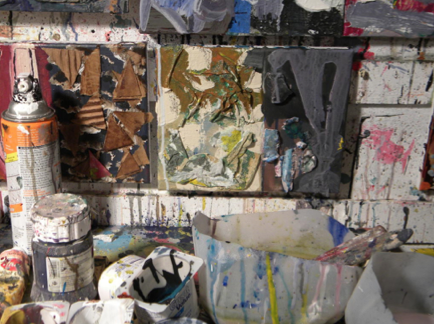 Lawrence’s materials set the mode for how his method of working continues. 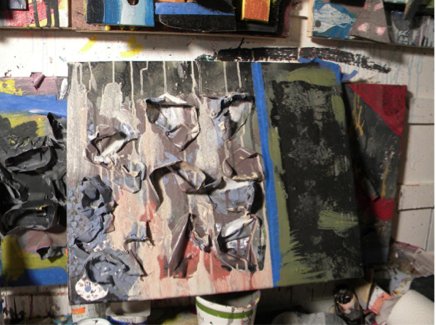 He seems to allow one piece affect and infect other works as they stand side by side on his display wall. Again the process comes into relevance as opposed to so much work seen today that all but seems created for the delight of the viewer and not the actualization of the artist’s thoughts. 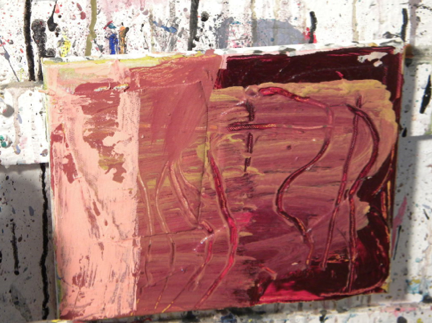 Lawrence’s work is thoughtful, creating a reality as Robert Motherwell says which has been felt and formed. 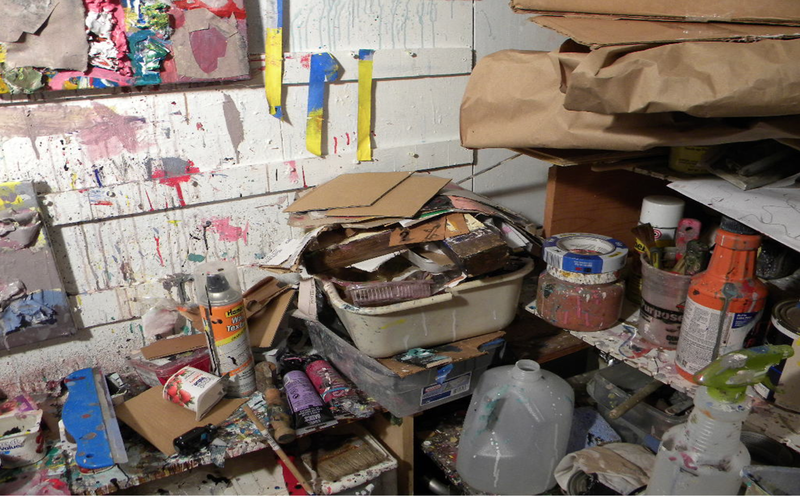 It is at last the intrinsic properties of the materials; cardboard, papier-mâché, paint-skins, poured and brushed surfaces along with the dedication to the process over years that define his art. So glad to hear that the work is not that familiar. I am really happy to have had this posted. Thanks for your insightful comments.